Meet Me in DC. 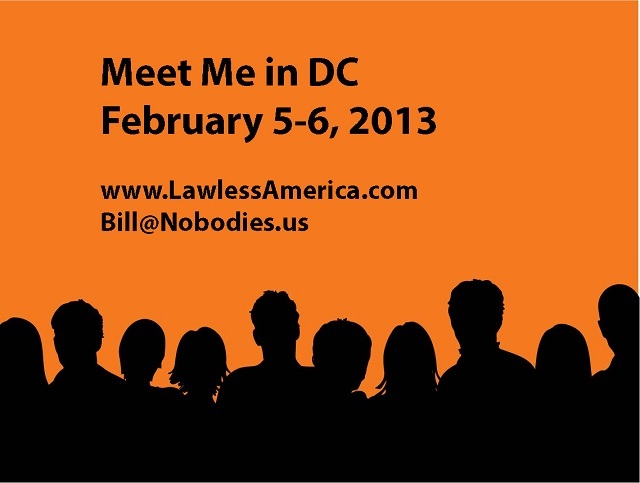 February 5-6, 2013. 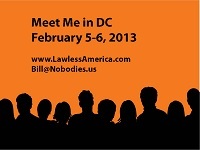 I (Bill Windsor) have been traveling all across America to gather information about corruption within this country. I have filmed victims of government and judicial corruption in every state. The 50-state trip Lawless America Road Trip started on June 14, 2012, and filming will continue into January 2013.